Textural Designs is an innovative design company offering a full range of styles focused on developing dynamic interior environments, on both the commercial and residential levels. From our designers to our industry experts, we reimagine the hidden potential of spaces through the ingenious introduction of textured wall panels. With an emphasis on earth-friendly products, and the creation of fresh accents and artful finishes, we provide original, decorative identities to both indoor and outdoor spaces. We invite you to browse our modern panel catalog to appreciate the variety of styles and accessories available from our talented team of designers. Our commitment to wall texture design guided by a personal touch, combines the essential elements of quality materials, solid workmanship and modern technology that become warm, serene and nourishing spaces. Many of our dimensional tiles are forged using geometries found in nature, but ones not intuitively obvious to the human eye. Our passionate efforts to establish sculptural panels that stimulate in visual and tactile ways result in perspectives enjoyed uniquely by each individual. Additionally, our designers and architects blend the fine craftsmanship of traditional woodworking with modern technology to create inspired modular wall tiles. This style, considering the general allure of wood in wall decoration, adapts easily to different design concepts, making it an affordable, convenient option that adds luxury and elegance in changing a room. Our modular walls have been designed to be easily installed in any commercial or residential application, enhance the decorative sophistication of any interior wall with the High-Performance Gypsum 3D panels, or give new life to any exterior wall with our Concrete-Design sculptural wall tiles. 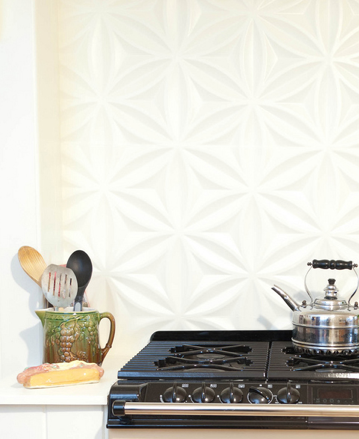 Textural Design’s 3D tiles, using textures and dimensional surfaces, create a sense of depth on vertical walls. The amount and direction of light reflects shadows that animate any space. Modular panels installed in areas with direct sunlight experience a compelling shadowing effect on the dimensional tiles throughout the day. The corporate sensibility at Textural Designs, in conjunction with our employees and affiliates, is to make a remarkable difference in each community we serve. It is a green company devoted to promoting and encouraging awareness in every aspect of its business practice, especially in the use of materials and manufacturing processes safe for the environment. Its 3D wall panels are made with mineral-based composites that are 100% recyclable and free of volatile organic compounds (VOCs). At Textural Designs, proudly serving all of Southern California, we are constantly devoting time and resources to improving the presentation of our design services, the quality of our in-state manufacturing processes, and evolving our catalog to reflect the latest textured patterns and styles. Years of experimentation and experience have refined our focus on High-Performance Gypsum, Concrete-Design, wood, and, more recently, metals, as the materials that provide outstanding finished products. Due to the desires and demands of beloved customers, our expertise has moved beyond decorative wall panels to include the furniture sector. The inaugural collection, extending our current philosophy, seeks to turn every piece of furniture into an exclusive article capable of adding original beauty in transforming its environment. Now, we not only frame the spaces, but add the pieces that inhabit them. Textural Designs exists for builders, contractors, interior designers, retailers and homeowners visualizing the potential of their space and searching for a design solution. Through soothing colors and rich textures, we create and deliver simply the best aesthetic personality for their cool homes, offices and commercial spaces. For all the places, and all the spaces, where you live, work, play and love, without exception and without compromise, Textural Designs is privileged to be your go-to resource. We’ve got you covered.